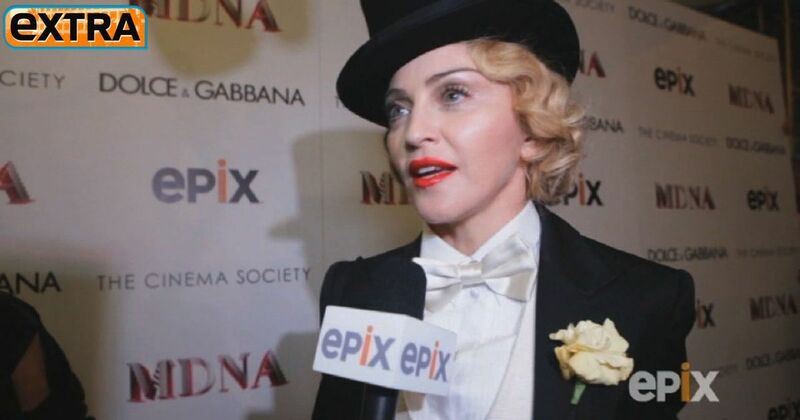 The premium network EPIX is premiering 2012’s highest-grossing tour, Madonna’s “MDNA,” on Saturday, June 22 at 8:00 PM. Check out Madonna at the 'MDNA' tour premiere. “Extra’s” Jerry Penacoli recently spoke with Madonna about her tour. She explained, “I like to give people an experience they've never had before.” Watch more of our interview! Madonna also opened up about her family life, the battle scars from her "MDNA" tour, and whether or not she would do a permanent show in Las Vegas.